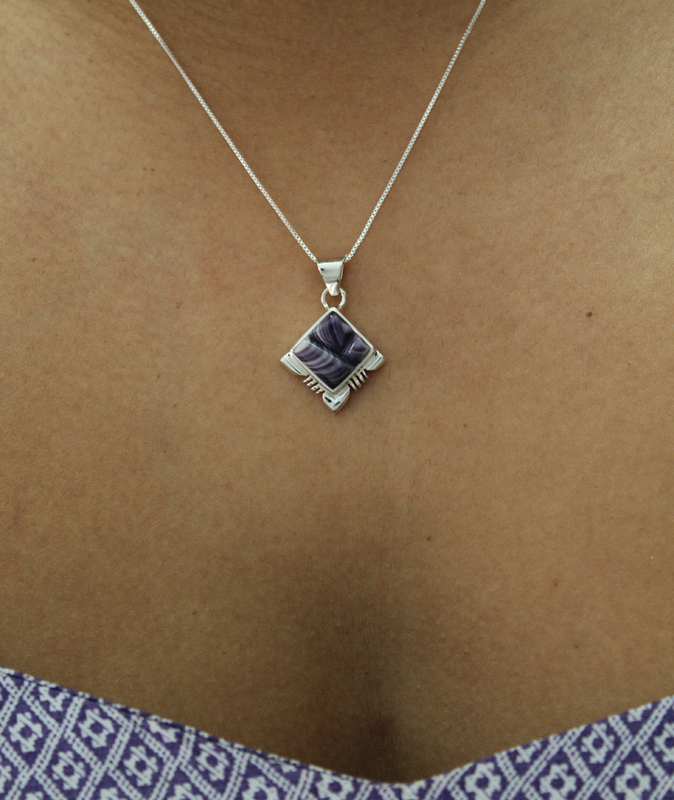 This beautiful delicate sterling silver square pendant has hand-cut cornrow inlay of Wampum pieces. Features a intricately designed Sterling Silver edge among the bottom. 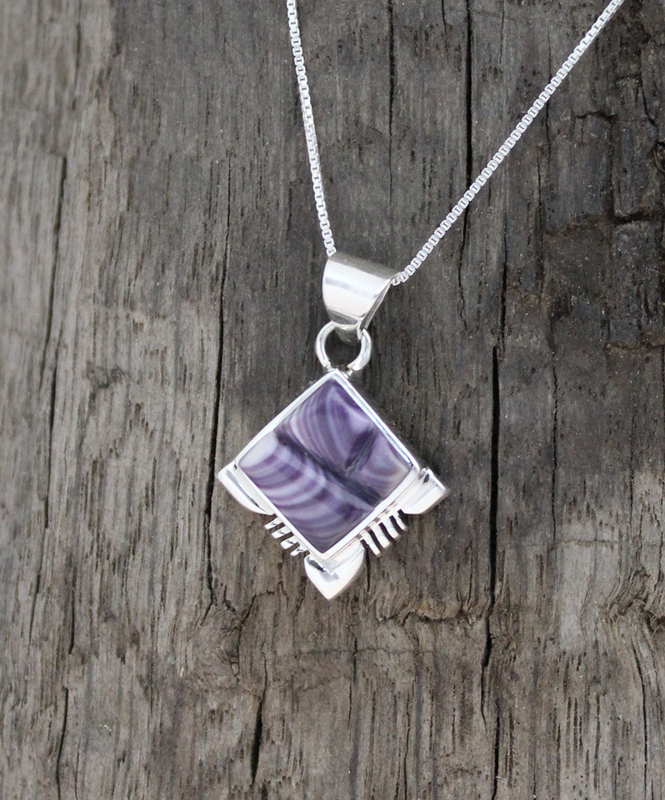 Each pendant comes on an 18" inch sterling silver box chain.